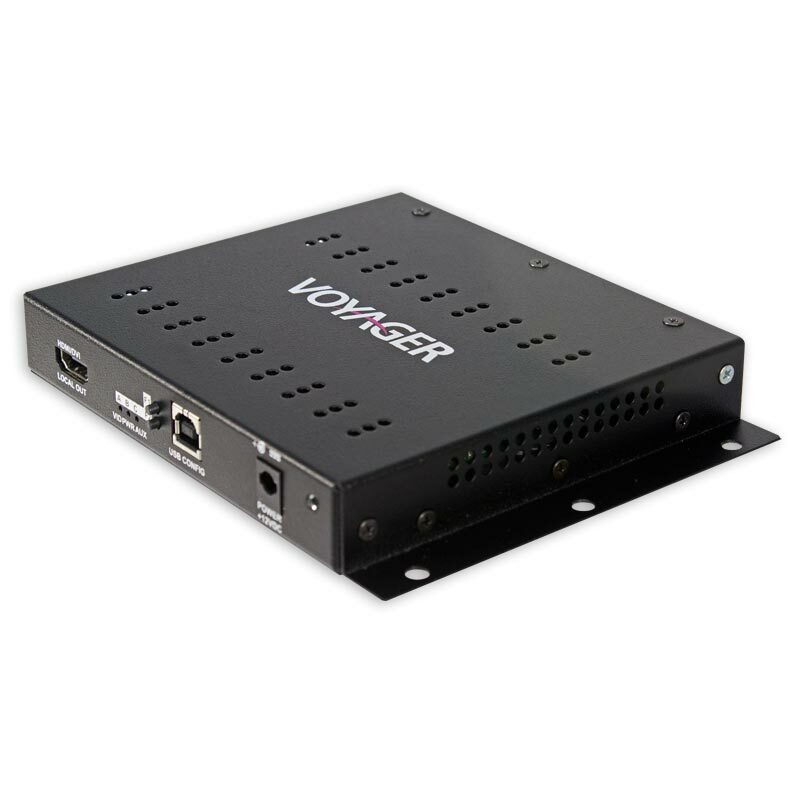 Only an inch-deep, the Voyager CFS (Compact Format Standalone) HDMI Transmitter offers all the performance of the larger, modular VG-TX2-MM-HDMI transmitter, but comes in a much smaller form factor that can easily be mounted behind a screen or in other small areas. 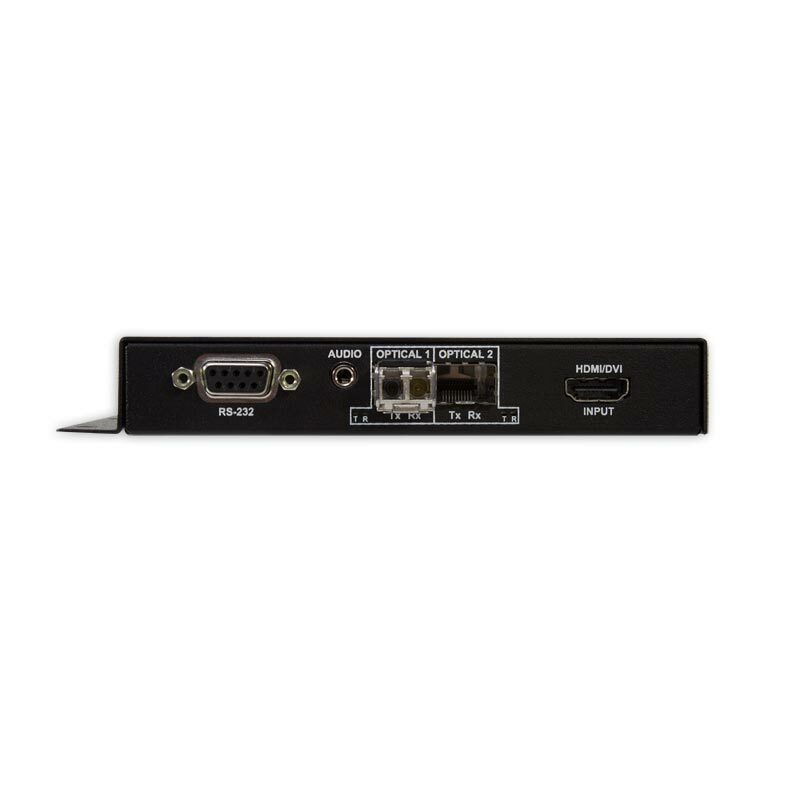 CFS-HDMI-TX2 units support the transmission of 1920x1200 uncompressed video (either HDMI w HDCP or DVI), plus audio and serial to distances of 6,600 feet over multimode fiber. 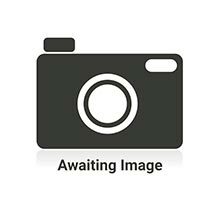 While it ships with one MMF SFP standard, the transmitter features a second port that, when populated with a second SFP, introduces a variety of signal distribution options. For example, users could cascade signals to a second transmitter, or feed a second grouping of Voyager receivers (which can be daisy-chained). 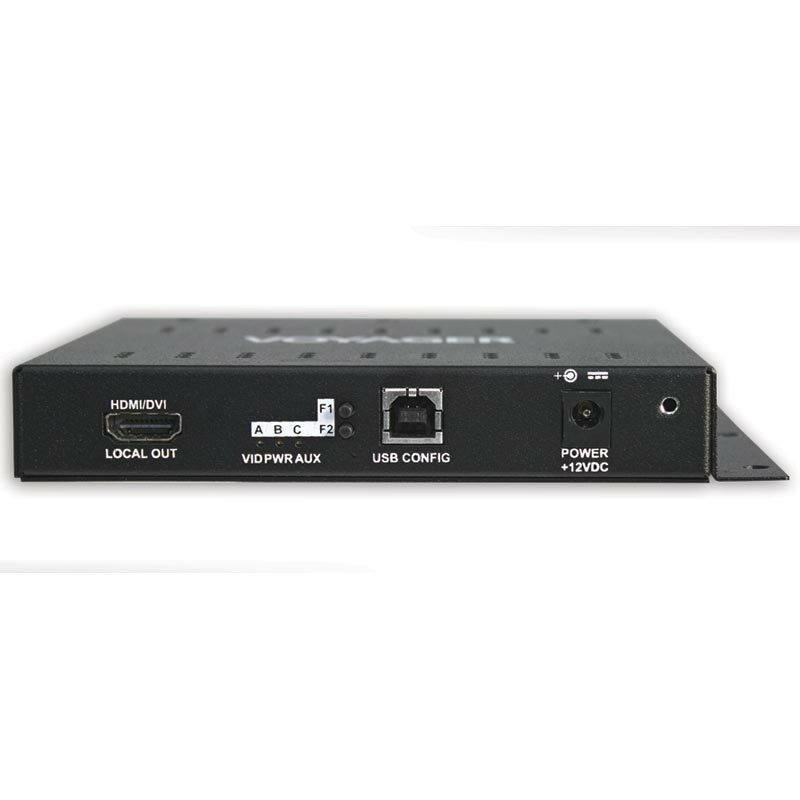 The CFS-HDMI Transmitter ships with a power supply. A built-in mounting flange enables the transmitter to easily be secured wherever necessary. None - Reliability and stability improvements only.